The Federal government estimates that there are approximately 48 million cases of foodborne illness annually - the equivalent of sickening 1 in 6 Americans each year. And each year these illnesses result in an estimated 128,000 hospitalizations and 3,000 deaths. Good food safety practices at home and in commercial facilities can help to reduce these numbers. Foodborne illnesses can be serious, long-lasting, or even fatal. Therefore, it is important for you to know and practice safe food handling behaviors to help reduce your risk of getting sick from contaminated food. 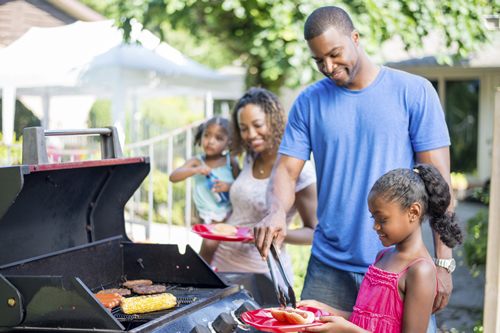 The information provided on this page is designed to inform and guide you, the consumer, on ways to protect yourself and your family from a potential food-borne illness. We at the Missouri Department of Health and Senior Services hope you find this information informative and useful. You may print and copy any of these documents for your use free of charge. Clicking on the links below will take you to additional information on food safety for you, your family, and your community.